The Magnificent and Powerful Niagara River Gull Migration. One of the great natural events that occur in our region every year is the annual gull migration. This migration can be observed along the Niagara River Corridor starting in mid-November. The prime migration is now. It will continue until the late winter. It draws bird watchers, scientists, and ecotourists from across the world. The next few weeks should present lots of opportunities to observe this spectacular and important natural event that focuses on our region. More species of gulls and in greater concentrations can be seen here than in almost any other part of the world. These birds play important ecological roles that help sustain our natural life-support systems. This migration helps to characterize our natural and cultural connections us to other parts of the globe. The Niagara region is connected, though birds, to other great habitats, bioregions, and human cultures across the planet. These are all kinship connections that have allowed our human species to exist and thrive. The connections between the health of birds, ecosystems, and humans are intrinsic values of the natural sciences. Understanding these values help us to characterize why the Earth different from other places in the universe. It is important to know that Niagara is a very special region throughout the year for bird migration. Our location in the Great Lakes and along the Niagara River strait have been part of bird and other migrations since at least when the last ice left the region about 12,000 years ago. This helps us to characterize our location as one of the most important ecological locations on earth. I am pleased to be able to report that migration events and concentrations in our area are still occurring. Despite risk and decline, the migrations still support ecological resilience and integrity. We are lucky. Today, you can observe the local migration activities, and make this a part of your personal knowledge. It is possible that future generations will not be able to. Birds migrate for a variety of reasons. Maintaining access to food and breeding territories on a seasonal cycle are fundamental influences. Several times each year the distribution of wild birds across the globe undergoes massive changes and fluctuations. Seasonal Bird life-cycles reflect months in breeding territories and then massive movement. Some species travel 10,000 or more miles across biomes, continents, and oceans. These movements are called “migrations”. Migrating birds are seeking food and shelter. They often travel in large multi-species and highly social flocks. They move through a variety of ecosystems and habitats reinforcing connections to natural cycles. These cycles include activities that provide life giving habitat generation and maintenance. Feeding and foraging effect pollination, seed planting, and natural recycling. In this context biodiversity has an opportunity to create the checks and balances that sustains healthy systems. This all ultimately affects the quality of the air, water, and soil, which ultimately leads to the relative stability of climate. Migrations reflect the annual and ancient cycle that that characterizes many forms of life on the planet. Natural migration patterns and pathways have evolved together with the ecosystems and habitats that birds use. The relationship is co-dependent. The exact timing and migratory routes reflect conditions and activities that have influenced species and habitats as they have co-evolved. It is important to know that bird species and activities have evolved along with ecosystems and other forms of life. This long-term pattern has sustained healthy ecosystems. Bird migration is fundamental to that equation. Without migrating birds, biodiversity decreases across the board and our nature becomes more sterile. While nature by definition, is always changing, these changes that involve habitat and species loss are devastating to the healthy future of our planet. These are conditions that we face in 2015. Our region, and especially along our Great Lakes shorelines and through the Niagara River Corridor are critical parts of some of the great bird migration activities on the planet. These birds come not only from the interior of North America, but from as far away as the arctic and the western boreal forests of Alaska. Maybe further. Many of these migrating birds travel to Central and South America, including to the Amazon basin and the coastal regions of Patagonia. Most of these birds migrate at night during the spring and fall. We don’t get to see them much at night, because it is dark and many stay indoors, but if you listen closely you can hear them flying above. Last spring at the Times Beach Nature Preserve on any given night, depending on the weather, you could hear chirping and communicating flocks of migrating birds from dusk until late into the night. If we look closely at radar, we can clearly see that millions of birds are in the air here from dusk to dawn during the spring and fall migration seasons. It is not only the spring and fall migrations that come through here. During late November and into the winter our region is host to some of the most spectacular and important bird migrations on the planet. As the cold weather takes hold of the far northern latitudes from our Lake Plains region to the Northwoods and into the Taiga , and even the Tundra, many birds including ducks, geese and swans move south to find open water, prime sources of food for these birds. For thousands of years, and at least since the ice left the area, the first open water encountered by late fall and winter migrants that come from the east, central, and occasional far west regions of North America has been the Niagara. Even when the Great lakes are frozen, almost every winter there is an abundance of open water in this strait. On any given day during November-at least February we can observe hundreds of thousands of waterfowl, representing most of the species found in North America. These birds breed in the forests, wetlands, creeks, potholes, ponds, deltas and mudlands, lakes, rivers, streams, that freeze during most winter months in the north. Canvasbacks, Redheads, Buffleheads, Mergansers, Scoters, Scaup, Gadwall, Goldeneyes, Teal, Eiders, Pintail, Widgeon, Loons, Geese, and Tundra Swans are all part of the Niagara winter wilderness. Some years, including the last several years, another kind of migration occurs. This is called an “irruption”. Irruptions are due to changes in normal habitat including availability of food. Some winter birds, including the Snowy Owl, have been experiencing great challenges to their food supply in the north. For the last two years, many thousands of these birds have found their way into our region. They are rare and spectacular birds, and we are lucky enough to have seen them frequently the last two winters. There is evidence that another irruption of Snowy Owls will help characterize our winter bird populations this year. Other birds occasionally migrating because of irruptions include Common Redpolls, and Pine Siskins. Some years we are inundated with these birds, and many years they cannot be found here. Stay tuned. We will keep you updated. And then there are the gulls! We live in a truly amazing place on earth and one of the reasons that our area is amazing can be told through the story of the migrating gulls. Our geographic location and how nature has evolved here is a huge part of how the whole earth functions, and how that function affects atmospheric stability and human health and well-being. Our location is part of a bioregion that characterizes the Great Lakes, its watershed, and its infinitely connected neighbors including the Taiga. This is a global biome that circles the northern hemisphere and includes large portions of Alaska, New York, and New England (aka the “northwoods”). Canada, some parts of northern Europe, Russia, Japan, and China. Above that is the Tundra and the far north polar regions. We in Western New York are directly linked to all of those places because of our important bioregion and its kinship connections to the Taiga. We have some commonality of cultures. We share many of the same plant and animal species. This includes the birds, and right now, this especially includes the gulls. The Niagara River corridor is a migratory highway. Many species of marine life including fish, and birds depend upon this corridor for their survival. Their survival and their ability to migrate through here help to ensure that the biomes that they live in and travel through stay healthy. You may have heard of ecosystem services provided by things like native trees. Wildlife, including megafauna and migrating birds also play tremendous and critical roles in the survival of both local habitats and global biomes. For instance, birds have co-evolved with and within the biome, and provide seasonal services that include pollination, seed dispersal and planting, decomposition, and other fundamental soil building services. These are the keys to the chemistry, physics, and biology that is mother nature. In other words the health of nature and humans depends on services provided by birds. 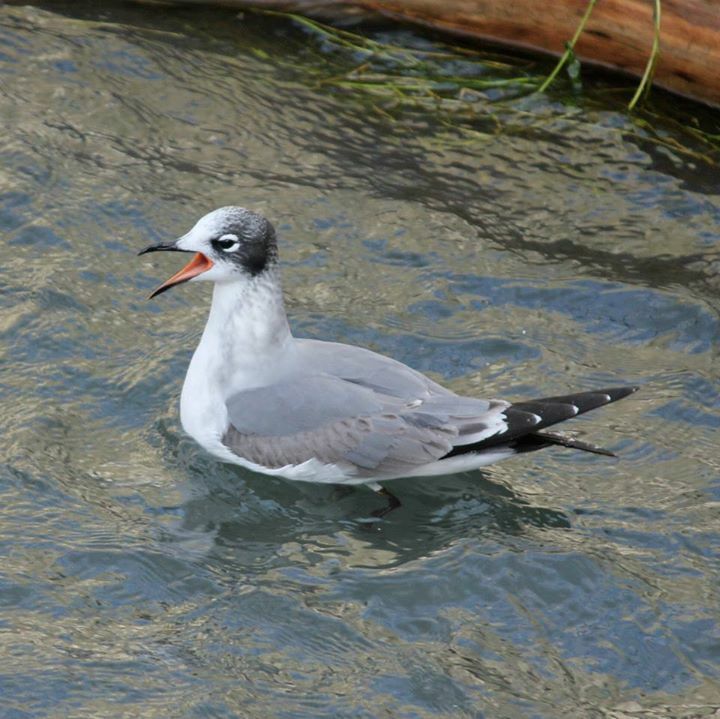 There are 19 species of gulls that have been observed and recorded during the last century or so, in the Niagara. This is amazing because there are few if any places on the planet that have so many species of gulls. For instance there are only 6 species of gulls in found on the entire continent of Australia. Most of these have been seen in the months of November, December, and January. Many of these 19 species are seen every year. Hundreds of thousands of gulls can be seen on the river on many days during this period. Most are migrating but some like the Ring-billed gull live here year round. Many people, perhaps even yourself refer to gulls and their close relatives Terns, as “seagulls.” Often this word associates itself with a negative characterization of these birds. Gulls are intelligent, highly resourceful and have a cosmopolitan distribution (as opposed to endemic), which means that they are found almost worldwide. They are monogamous and mate for life. They are also colonial breeders. Their habitats almost always rely on water resources, including oceans and the Great lakes and rivers of North America. Gulls and terns play really important roles in our ecosystem and human health conditions. If you have ever had the pleasure of watching a gull close-up you might note its feeding behavior. Many of the most common gulls that people see in an urban or agricultural setting, Ring-billed gulls, are feeding on scraps. We see a lot of ring-billed gulls here because they are quite “urban tolerant.” One of the largest Ring-billed gull colonies in the Great Lakes is located on the Buffalo/Lackawanna Outer Harbor adjacent to the Steel Winds turbines. This is the exact location of part of the partially demolished Bethlehem Steel Plant. The Ring-bills are working hard to restore the ecosystem there. Some of my friends have described Ring-billed gulls as parking lot vacuum cleaners. They do like to eat whatever they can find. They clean up, and recycle organic material. Gulls do that in nature also. It is one of the most important ecological roles that any birds play anywhere. These birds clean up, recycle, clean up some more, and recycle some more. They have varied diets. Most gulls are omnivores, which means that they will eat almost anything, including parking lot scraps. These are not the healthiest snacks for a bird but they are certainly willing to eat them. If you think that fast food only effects human health, think again. In nature these birds are eating plants and animals dead and alive. Some eat live fish and have spectacular feeding habits. One, the Bonaparte’s gull, takes spectacular high dives into and below the Niagara River waters, swims beneath the waves, and often comes up with a small fish. There are literally tens of thousands of this little gull on the Niagara River on almost any given day, November-January. And they come from a long way off. These gulls nest in trees in the boreal forests of the Taiga. They are common on the Pacific coast of Canada and Alaska. As much as 40% of their global populations are thought to come through the Niagara River, along and above our waterfronts from the outer harbor to Fort Niagara. They are great biodiversity creators and travel long distances in their annual cycles of life. The Franklin’s gull, migrating through here now, winters in South America. Its population has declined 88% since 1966. Other species of gulls that migrate through here during these months include Kittiwake, Little gull, Herring gull, Great Black-back gull, Lesser Black-backed gull. They are easy to see. Bird populations are not stable. There is a tremendous decline worldwide, and in our own backyard that is reaching a catastrophic climax. Just last year Audubon issued a report that states that half of the approximately 650 species of North America will be driven to smaller spaces or forced to find new places to live, feed and breed over the next 65 years. If they do not — and for several dozen it will be very difficult — they could become extinct. The four Audubon Society scientists who wrote the report project that 21.4 percent of existing bird species studied will lose “more than half of the current range by 2050 without the potential to make up losses by moving to other areas.” An additional 32 percent will be in the same predicament by 2080, they said. We Greenwatchers venture that the decline of birds is much worse. The decline of nature is due to activities of humans. Unless humans find ways to share and protect the natural world our survival and certainly the ability of future generations to thrive is prosper is in doubt. Our development and conservation efforts here influence global issues including habitat loss, loss of species, and climate change. The collapse of birds are not just the canary in the coal mine. The collapse of birds indicates that the whole system is in collapse. We have made a lot of mistakes. We have also done some positive things in our region. In 1996 the Niagara River Corridor was designated as the first international Globally Significant Important Bird Area. Much of the reasoning behind that designation has to do with the birds and other wildlife that we see in the Niagara during the winter, and because the corridor is threatened by both legacy and contemporary development. Human thinking and myopic decision making continues to throw our planet, environment, wildlife, and birds into the rabbit hole. The human species has to learn and act to be better stewards of habitat and birds, including and especially migration routes. Pope Francis’s recent Encyclical invoked the “Rights of Nature”, and reminds us that the anthropomorphic view that “nature is here to serve humans” has caused nature to collapse. This is one of the fundamental reasons for human caused climate change. Humans co-exist with nature and not outside of nature. We need to find ways to embrace that relationship rather than eviscerate it. Protecting our regional and local habitats is as important a conservation effort as any that can be found on earth. This should be our first priority as a human species. Remember that the next time you hear about development, sprawl, and continued industrial growth on our outer harbor or in the Niagara River Corridor. Economic development does not have to rely on the complete consumption of nature. We can do a lot better than what is on the constantly on the development table. “Impossible” you are probably thinking. You may be right. It is the challenge of our time. Editor’s Note: For a complete list and a more detailed description of the Niagara river Corridor Globally Significant Important Bird Area, and the annual gull migration, click here. Go on outside this month and take a look at the magnificent gulls that are visiting us now. You can see migrating birds anywhere along the Niagara River including both sides of the international border. In Buffalo you can see them from the foot of Ferry Street and at the Rich Marina at the foot of Hertel. Sometimes, if you can get close enough to the water you can see them in the Outer Harbor, and at LaSalle Park. The area above the falls is one of the best gull viewing areas on the planet. They can also be seen feeding at the power plant vista in Lewiston and at the Adam Beck across the river.